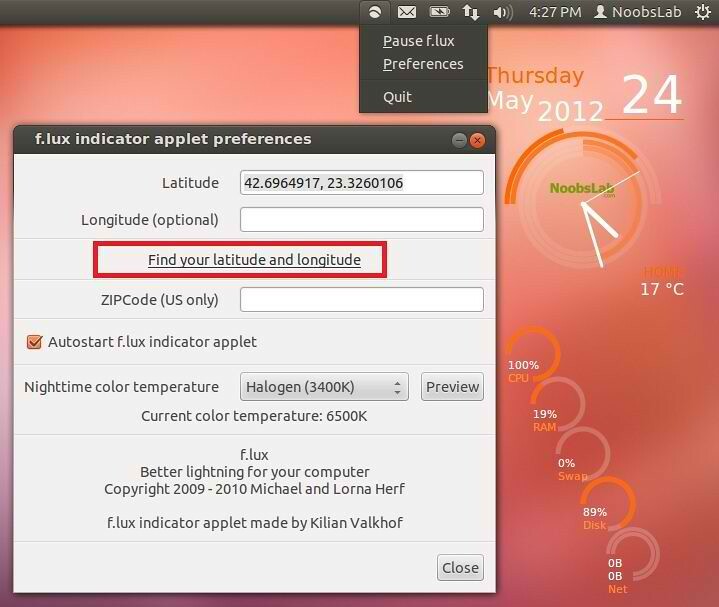 Here are some Ubuntu Indicators which can be useful for everyone. 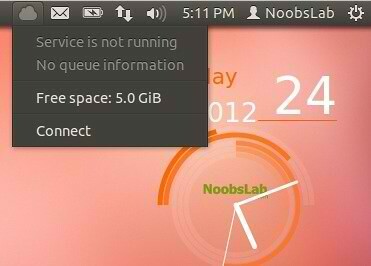 These indicators makes easy to use Ubuntu. After 2nd indicator add NoobsLab ppa and start installation. All indicators are checked on written Ubuntu Version, So hopefully there will be no problem for you to install and use them. 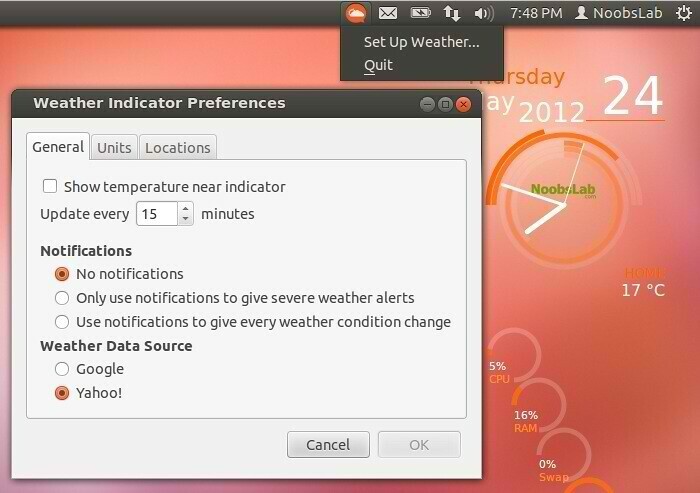 Weather Indicator allows to see your current weather situation in Ubuntu panel, This is available in Ubuntu repositories so you don't need to add any PPA for this indicator. 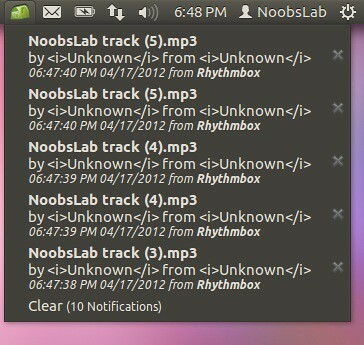 This indicator stores recent notifications and easily can be access on Ubuntu Panel. 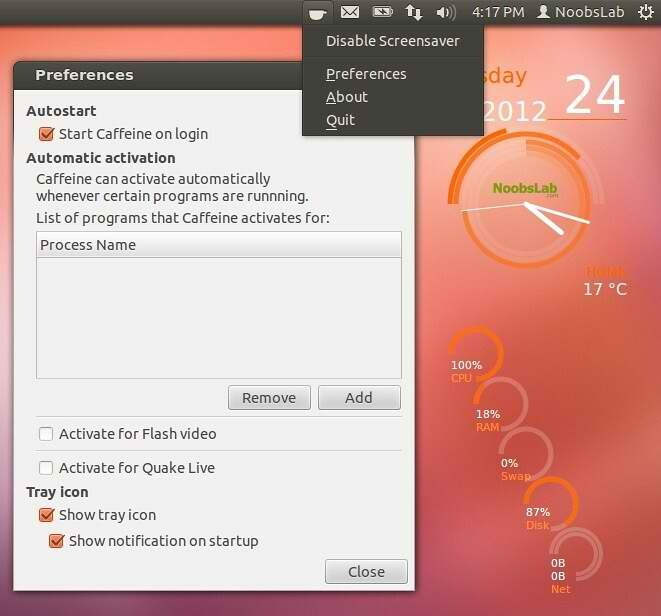 Using caffeine you can disable sleep mode/screen saver under Ubuntu/Mint. 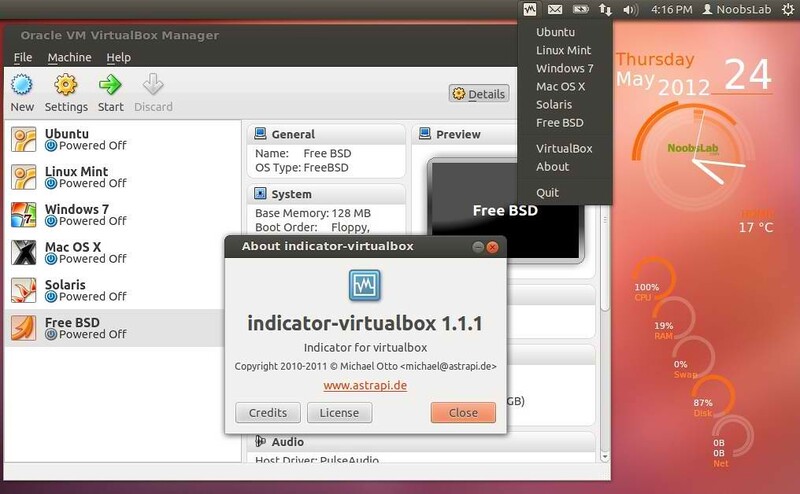 With VirtualBox Indicator you can open Virtual Machines easily and quickly from Panel. 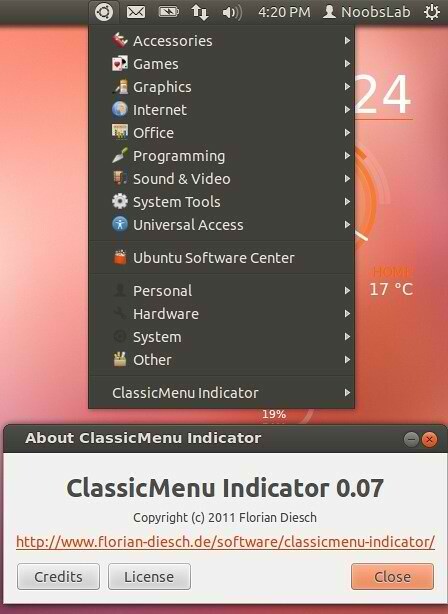 This Indicator give you Classic menu like old Ubuntu version have on the Panel. 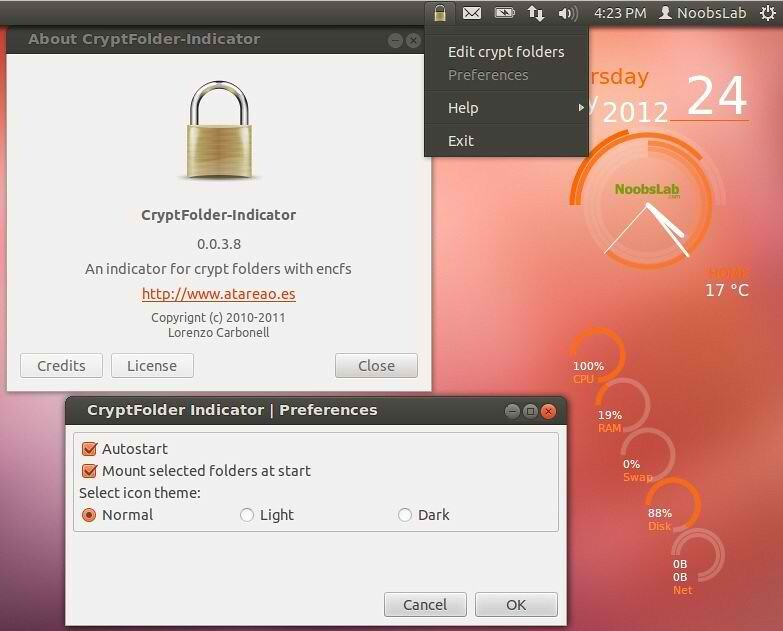 CryptFolder Indicator is used to manage EncFS folders easily from panel. 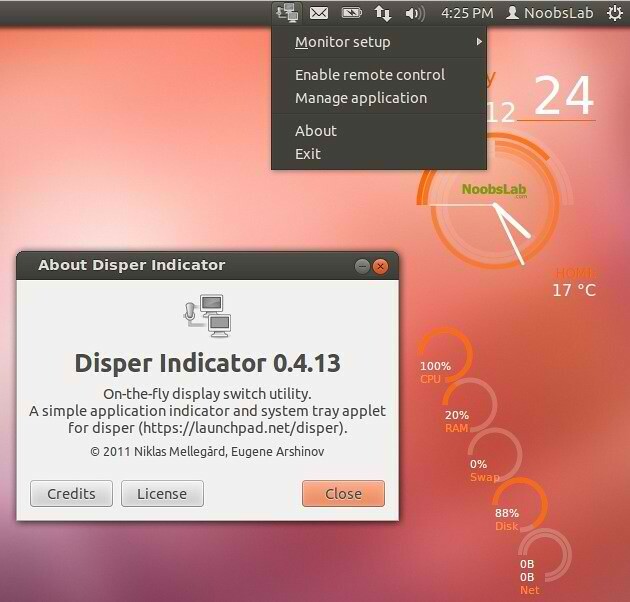 This Disper Indicator simple detects which monitors are connected to the pc and also provide different options like enable single screen, extended screen or clone screen configuration. 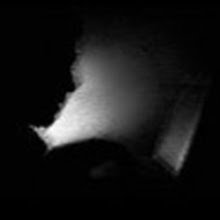 FluxGui make your pc screen just like room you are in, it is for all time. When the sunsets fluxgui make your screen like indoor lights. In the morning it make like sunlight again. 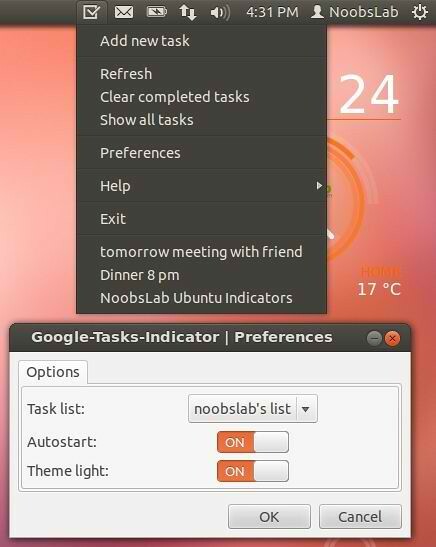 Google Task Indicator shows your latest 10 tasks in Ubuntu panel. 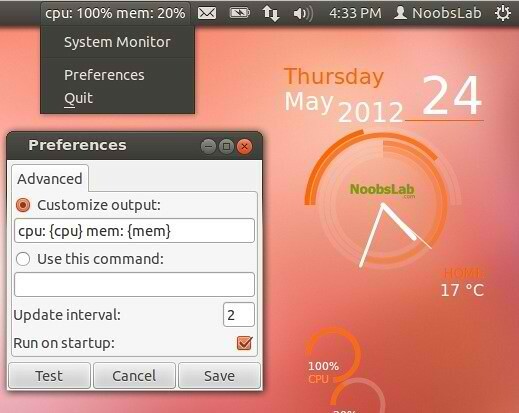 System Monitor Indicator shows your cpu and memory usage on Ubuntu Panel. 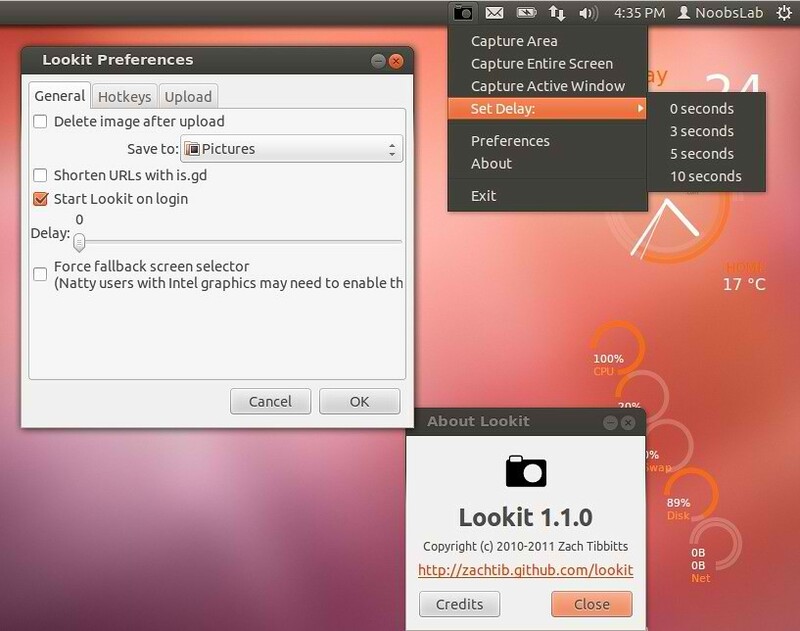 With Lookit Indicator you can capture your screen area, active window, full screen. Also you can set delay in capturing screen. 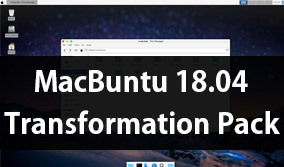 There is also upload feature available in this utility. 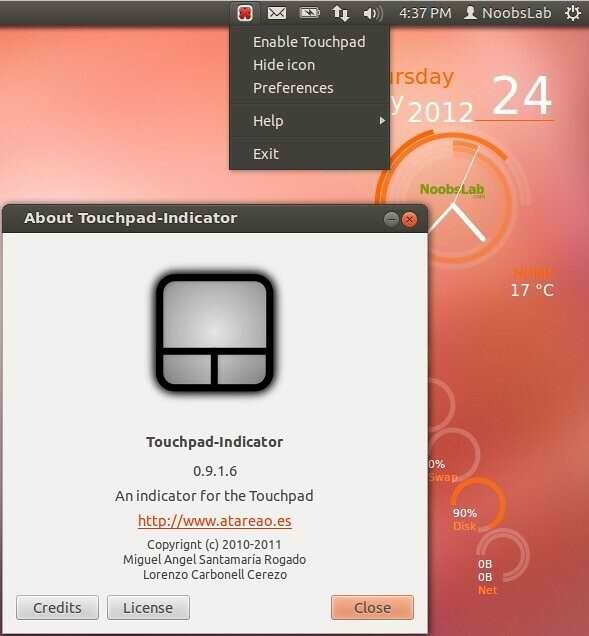 Touchpad indicator allows you to enable/disable your laptop touchpad easily. You can disable touchpad while typing. UbuntuOne indicator shows your UbuntuOne account status in Ubuntu Panel. 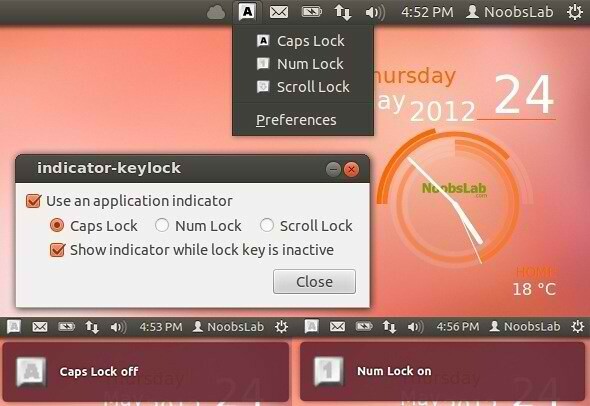 It is for lock keys Caps, Num and Scroll, It also shows notifications when you enable or disable lock keys. 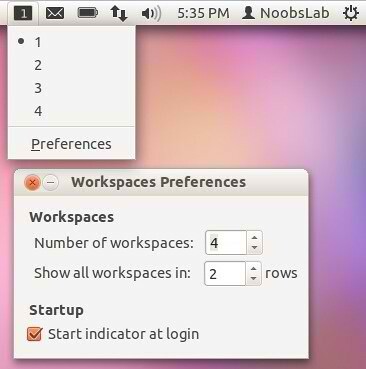 With Workspace indicator you can select desktop from top panel easily. 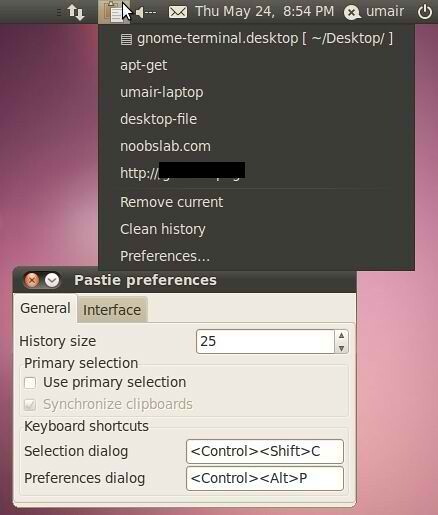 Pastie Indicator saves your clipboard data, Which can be easily accessible from Ubuntu panel.